When the bristles wear down, don&apos;t throw away your Grill Daddy Pro - just buy this replacement brush and scraper head. Grill Daddy Pro Replacement Brush and Scraper for use with the Grill Daddy Pro Grill Cleaning System. Replacement brush kit for your Grill Daddy Pro. 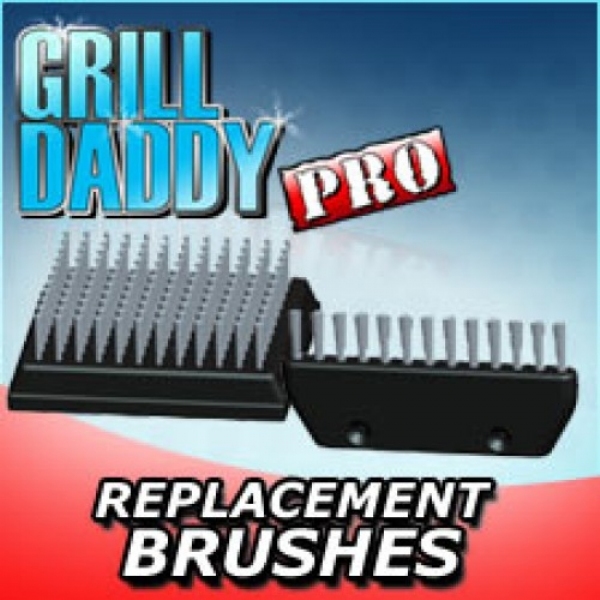 Don&apos;t throw away your Grill Daddy Pro when the bristles wear down, simply buy this replacement kit. The kit contains main brush with gasket, scraper brush, wing nut with washer and 2 screws.